Robert Sherrill, President & CEO of Imperial Cleaning Systems (ICS), works to educate others on the necessary processes to grow businesses and contracts. As a nod to the Greater Nashville community, Rob launched “Imperial Cares” to provide jobs and internships to area residents who are displaced or enrolled in a post-incarceration community re-entry program. 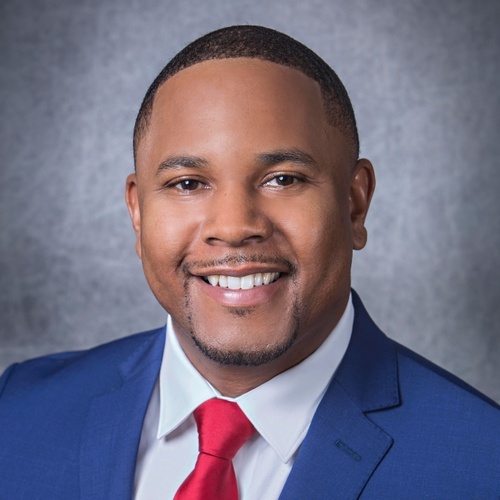 As an entrepreneur and small business owner, Robert has been awarded and recognized as “Stay On The Go’s 40 Under 40”, Nashville’s Black Chamber of Commerce’s “Rising Star”, Power Moves’ “Best in Entrepreneurship 2018”, Varnell Foundation’s 2018 Community Leader of the Year, Nashville Minority Business Center’s 2018 Minority Man of the Year and Nashville Business Journal’s “Most Admired CEO 2018” and is a graduate and member of Cohort 5 of the Entrepreneurs’ Organization’s Catalyst Program. In addition to his work with ICS, Robert is the CEO of Vanguard Transportation and Empero Logistics, Vice President of The Winner’s Circle, a Nashville-based entrepreneur mastermind group, co-founder of theLAB Nashville, a collaborative member’s only space that caters to local creatives and entrepreneurs, and travels the country speaking about hope, redemption, grace, favor and the ability to overcome. With a passion for helping disadvantaged, underserved youth, he recently started Impact Youth Outreach (iYO) with a focus on mentorship, community service and motivational opportunities. In 2018, Robert penned his first book chronicling his life and rise to success after a turbulent past. Upon its release, the book climbed to #1 on Amazon’s best sellers. Cornerstone Nashville is located on the northeast corner of Old Hickory Blvd. - Exit 92 off I65, north of Nashville. Look for the giant American flag.